The Upgrade Place Blog | Technology News on Computer Memory, Storage Drives, and more. : Save Time and Money with eSignature Pads! Save Time and Money with eSignature Pads! Need to save time and money? Need to become more cost effective and more efficient? Electronic signature pads can help. Thousands of businesses are saving time and money with esignature pads and software. Signature capture pads can easily be the first step, the last step, or fall anywhere in between in your pursuit of a paperless process. 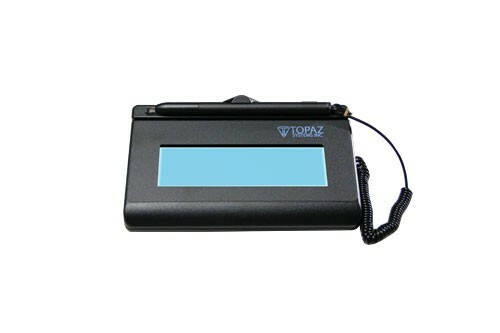 Topaz Systems™ electronic signature capture products enable the electronic capture, binding, and authentication of signatures on forms, documents, and receipts – without a single sheet of paper. By using a Topaz pad and SigPlus® software to electronically sign digital documents, you can reduce or eliminate up to 100% of your ink and paper signature expenses. With devices under $95.00, you could see direct, immediate impact on your bottom line starting with the first signature! The Upgrade Place can help you choose a technology that is best able to provide your business with the cost and time savings you’re seeking. For information on eSignature Pads, Memory, Hard Drives, SSD's or other upgrade products call us at 800.338.1531 or email sales@theupgradeplace.com.